Thanks for your work could be TANK PRINCESS ???? I've checked many ships from Miramar built at that time, but as it looks like without sucess. 1) Handrail stanchions at the poop deck level, whereas this ship has a solid bulwark. 2)The radar mast has a crosstrees, whereas this ship does not. 3) The after lifeboats have 'straight' & tall lifeboat davits, whereas this ship has more modern curved davits. The letters on the stern are WA...EA, those can be seen. 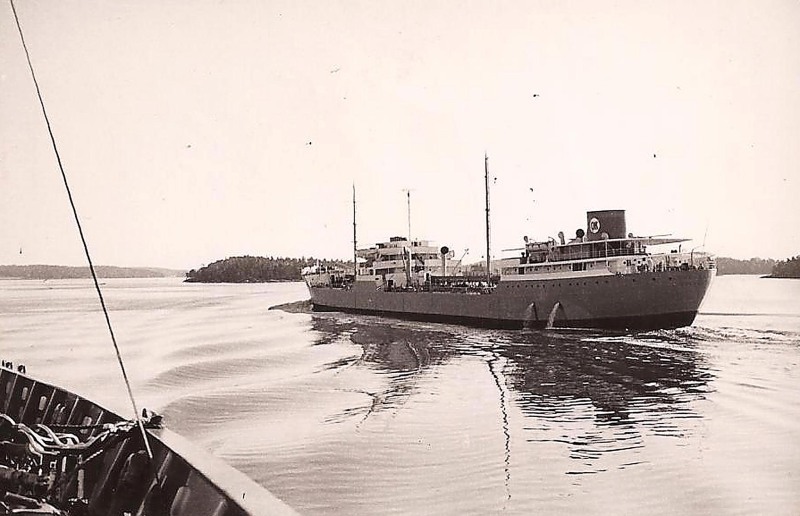 This is surely a Swedish built tanker probably from Gotaverken in Gothenburg of a 13.000 tons class or a 16.000 tons class. This photo has been shown 1,688 times since it was added to the site.